AN ARREST warrant has been issued for a driver accused of a high speed chase and assaulting Gardai. Terence McDonagh, 23, sped off when chased gardai in Letterkenny on August 4 last, a court has heard. However he failed to turn up at Letterkenny District Court to answer half a dozen charges relating to the incident. Donegaldaily.com understands Mr McDonagh is now living in the Kilkenny area. The court heard how McDonagh had failed to stop and drove at high speeds through Letterkenny during the incident. When he was finally apprehended on the Gaeltex estate in Oldtown, he broke free – and then tried to claim his wife had been driving the VW Passat. The Garda said he had earlier recognised Terence McDonagh “who I have known for some time” driving at speed in the town. When he managed to get an answer to the door two females were standing in the doorway and behind them was Terence McDonagh. A woman who said she was his wife had told the garda that she had been driving the car earlier. McDonagh was in the background shouting abusively at the garda. 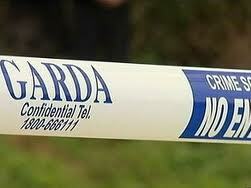 The suspect was eventually detained and as he was being driven to Letterkenny garda station he threatened gardai. “He said he was going to slit me up,” the garda told the court. Earlier motorist Andrzej Siwiecki told the court how he had witnessed McDonagh’s dangerous driving during the garda chase. He said he had been driving in the town with his wife and three-year-old child when he was forced to pull over to avoid a collision with McDonagh’s car. “I thought he would crash into me,” Mr Siwiecki told the court. Judge Paul Kelly said he believed the evidence given to the court supported the numerous driving and assault charges against McDonagh who now faces arrest for failing to appear in court. Missing Cat: Have you seen Charlie?